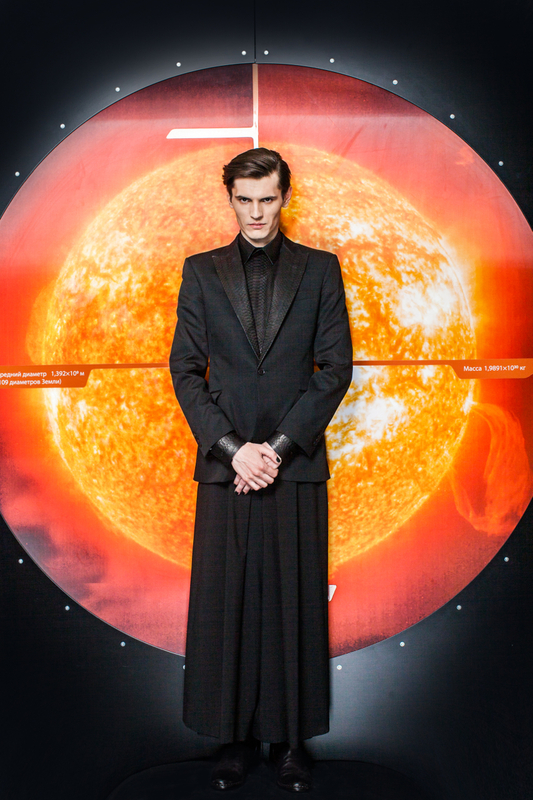 Dmitry Loginov, the mastermind behind Arsenicum, has created a dark and ominous Fall collection. 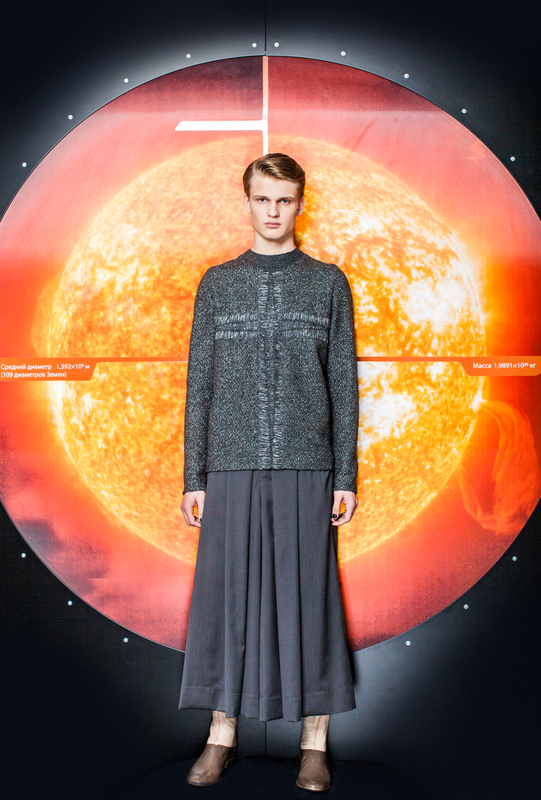 This Muscovite’s Fall vision is for the fashion-forward man and the audacious woman. 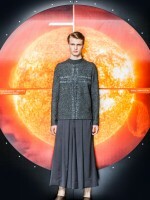 Much different than his Spring collection, his pieces this Fall cross gender lines, where similar looks are crafted for both male and female models. 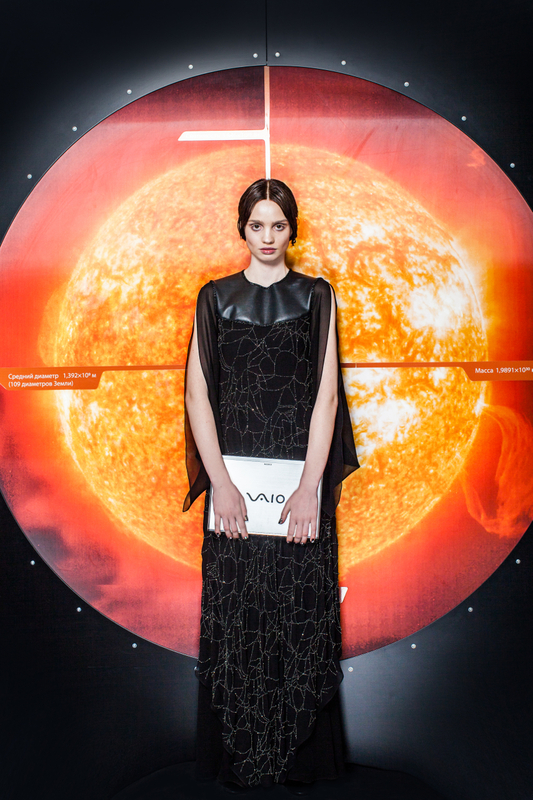 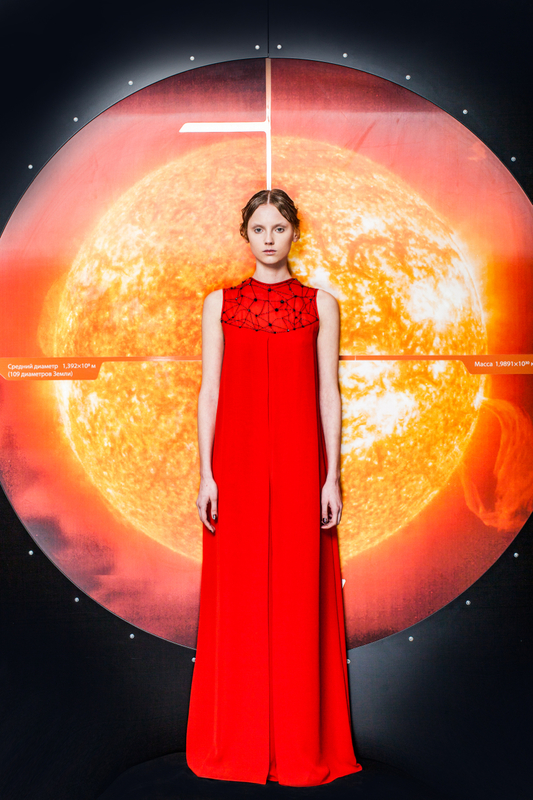 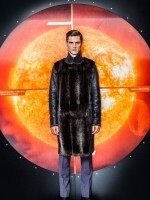 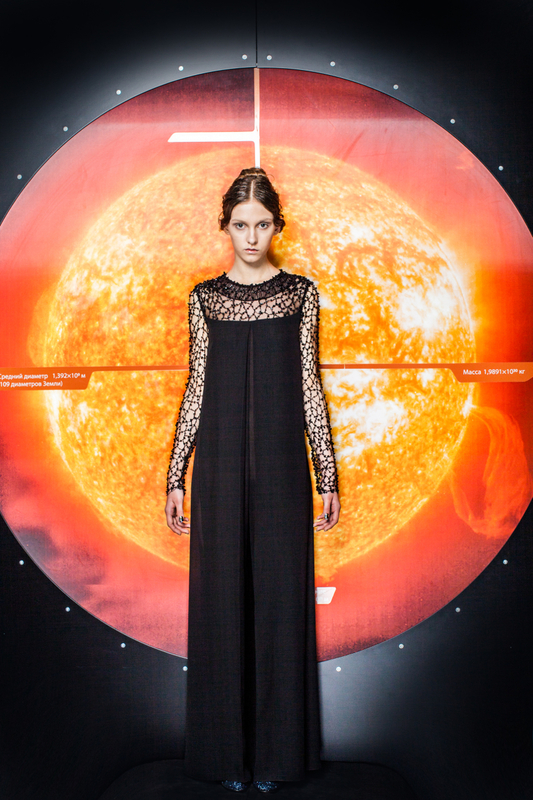 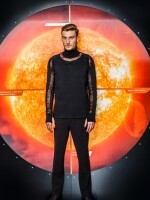 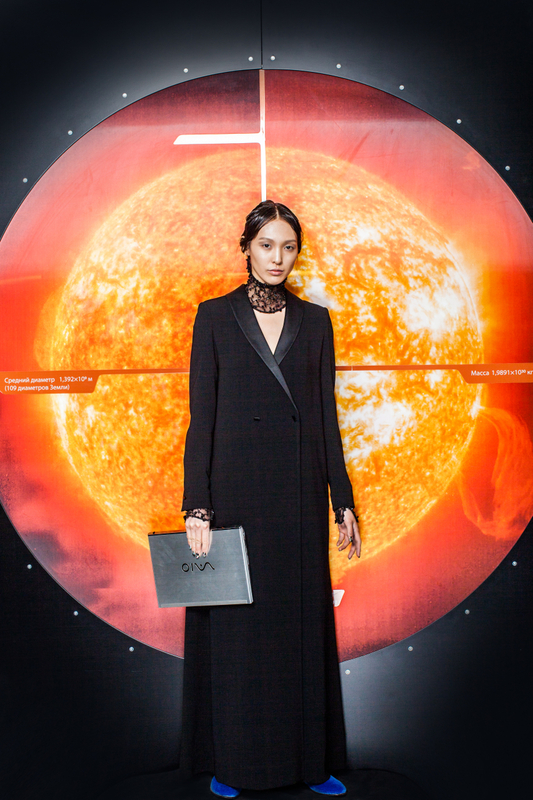 The theme is Cosmos, and the futuristic styling is out of this world. 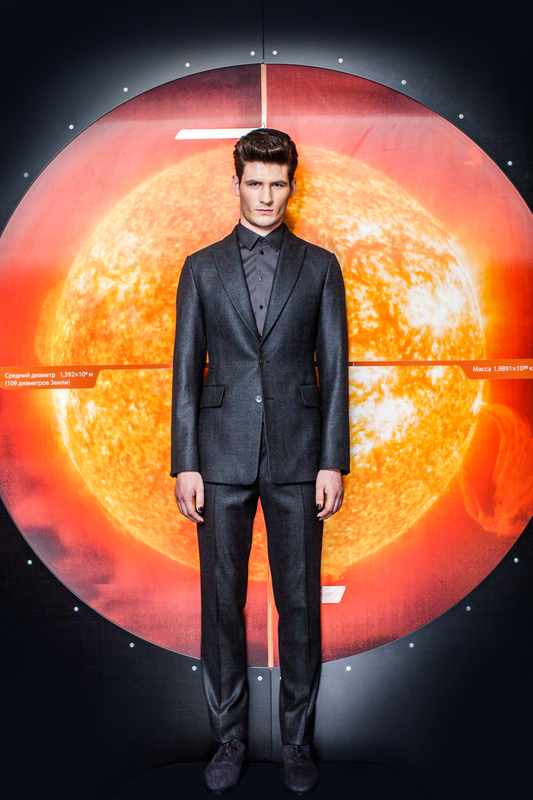 The one thing that sets the sexes apart: the suiting. 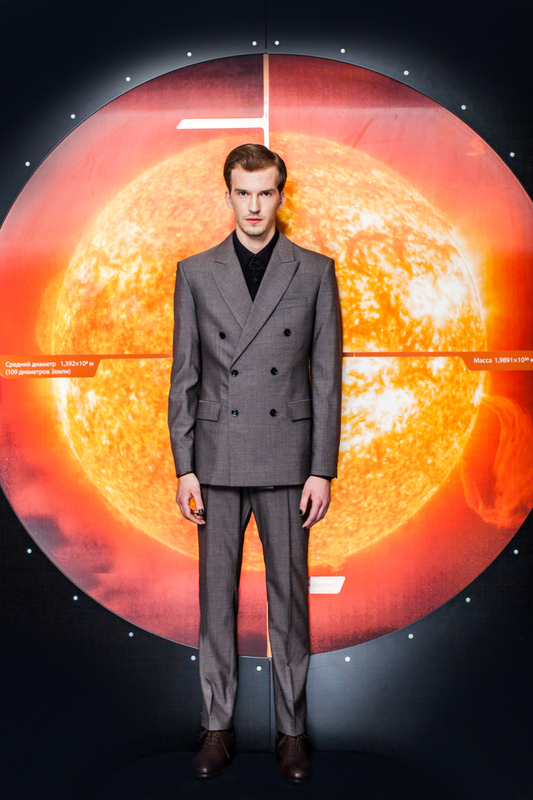 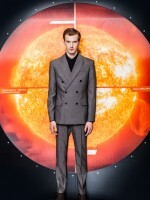 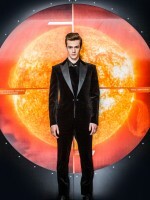 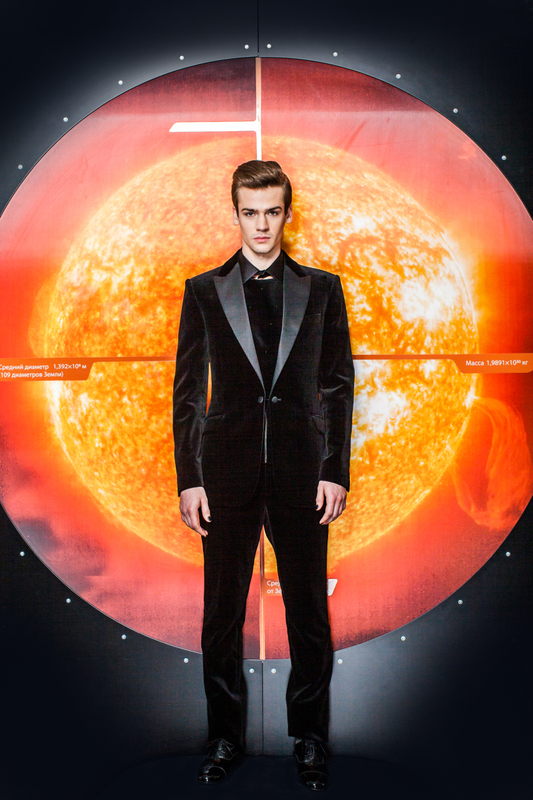 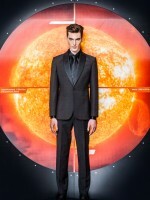 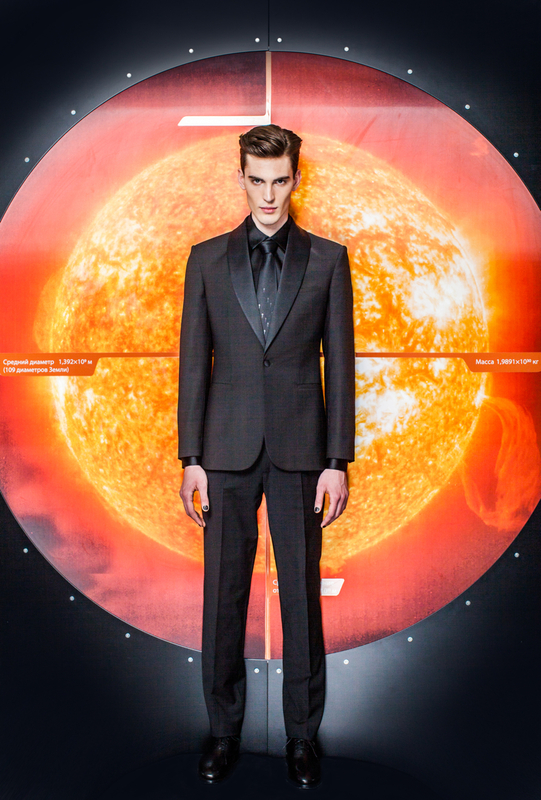 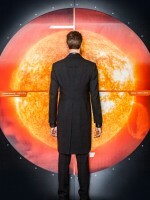 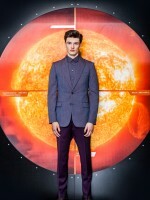 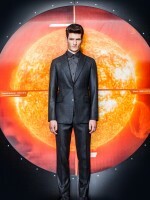 Dmitry creates sharp, well-fitting suiting. The blazers and slacks in this collection are sure to impress. 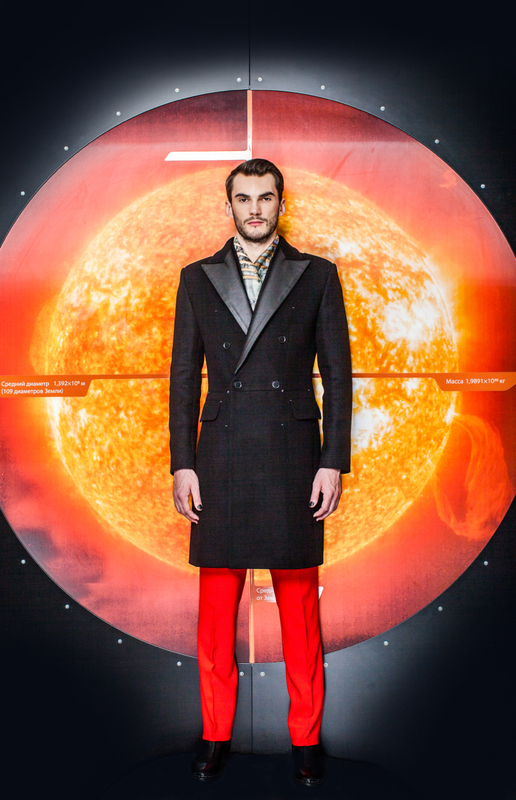 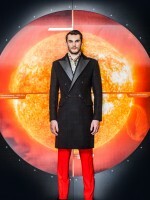 His jackets are constructed of strong lines and the pants are tailored to perfection – not too wide and not too slim. A balance of boxy blazers and trim slacks oozes confidence on any dapper male. 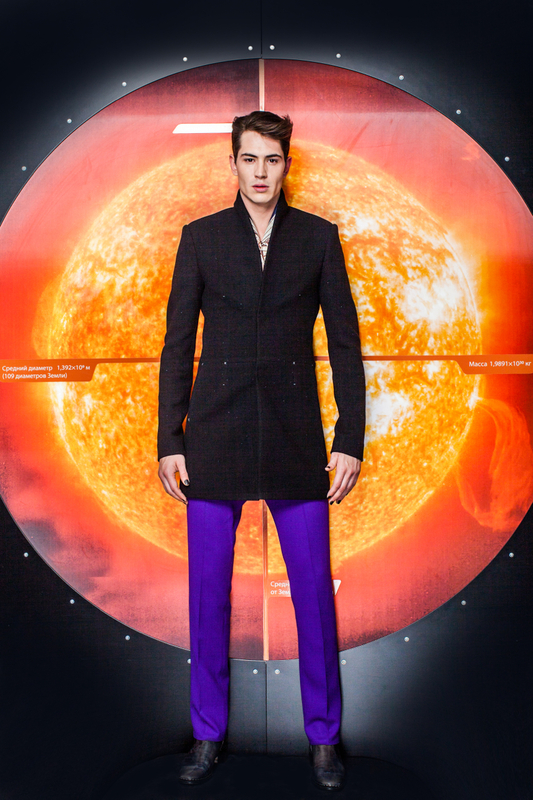 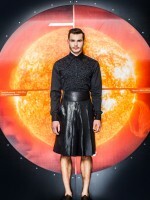 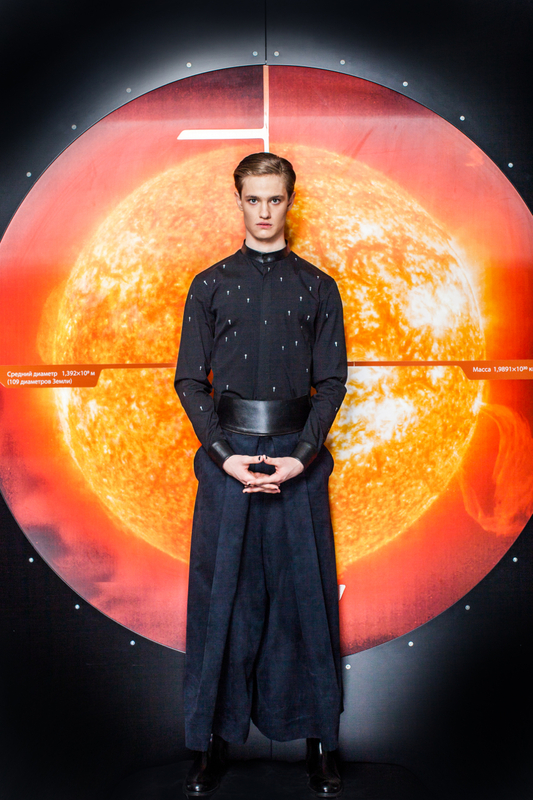 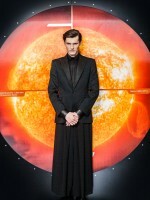 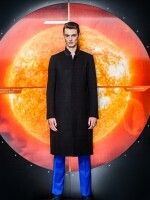 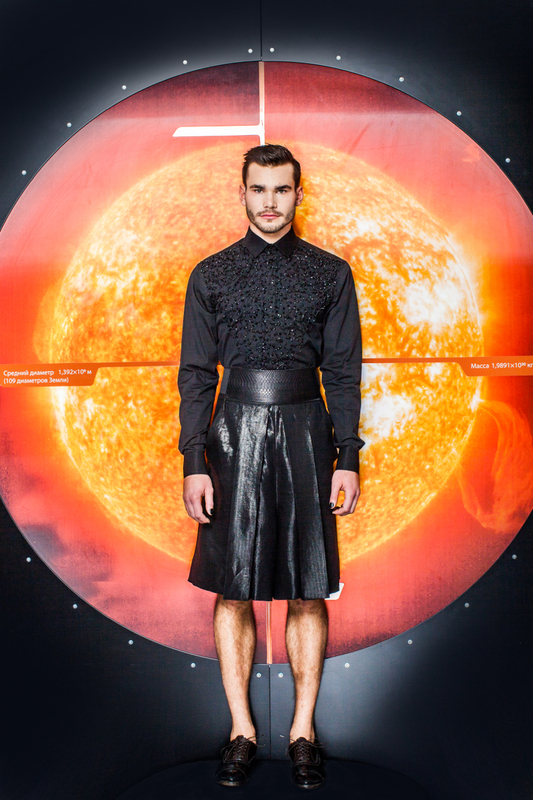 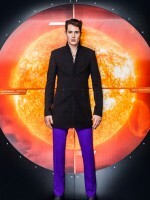 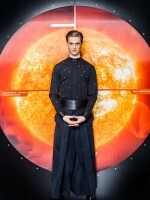 Dmitry goes bold with pants in purple, red, and cobalt, as well as leather, kilt-like skirts, and capes. 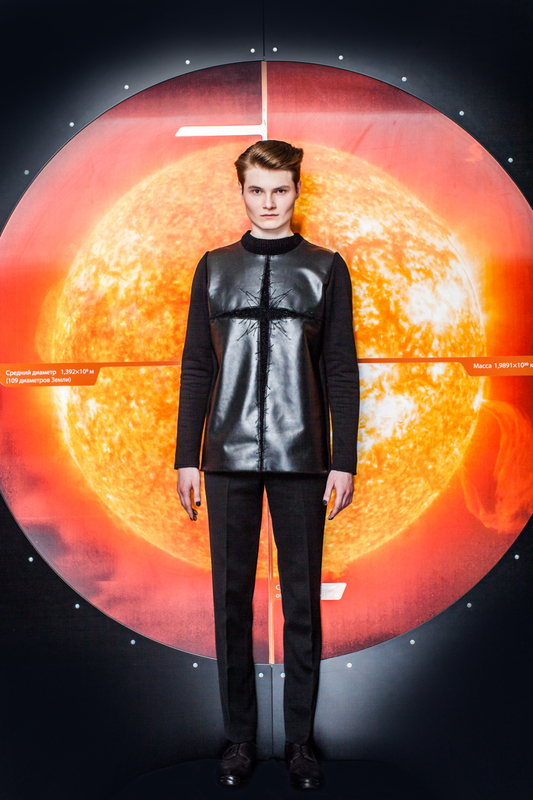 Menswear is Dmitry’s specialty, and it is interesting how this transcends his unisex designs. 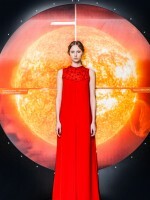 The women’s wear is short-lived and brief compared to the men’s: all of them long, floor-grazing gowns; the options are red or black. 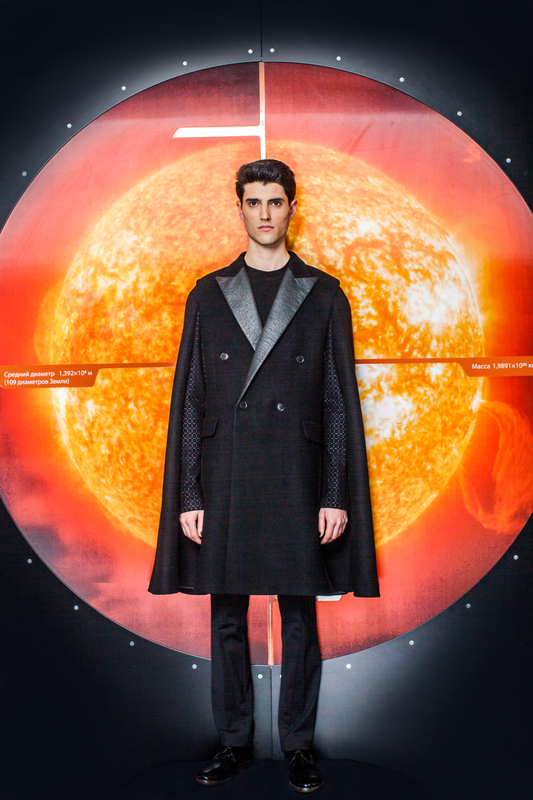 Lace-back details and capelet overcoats are nice touches that show off Dmitry’s fashion sense from his former stylist and editor years, all the while finding the utmost means of expressing himself in design. 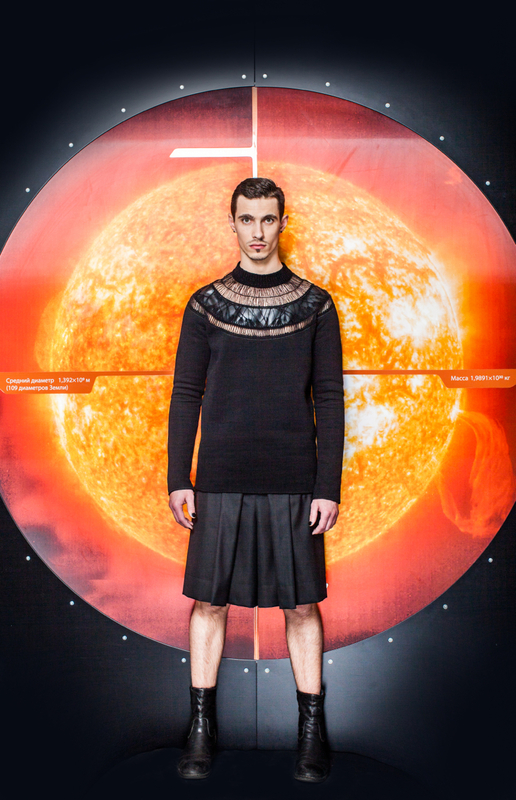 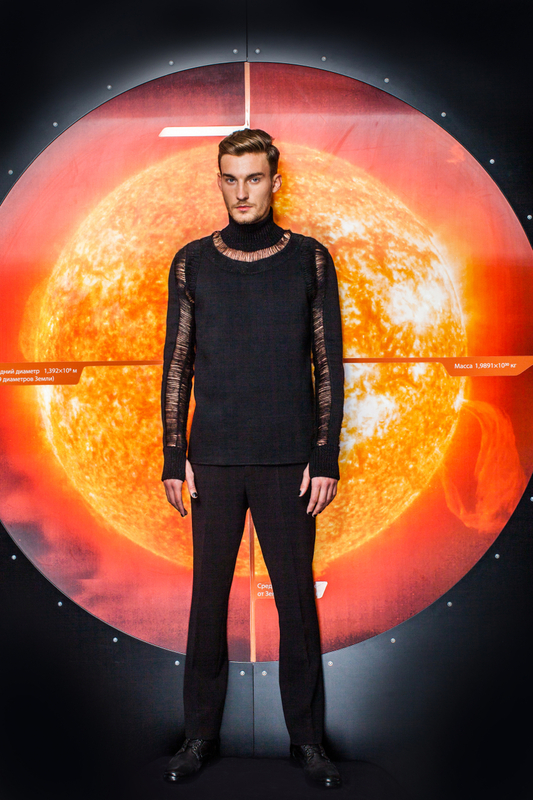 Androgyny is key in the black mesh pieces that are quite industrial and almost sci-fi like. 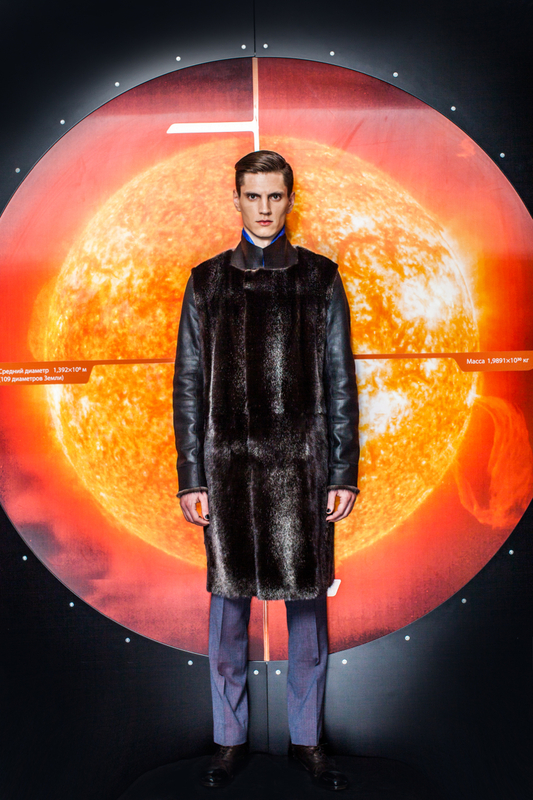 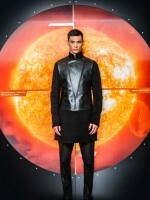 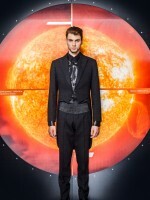 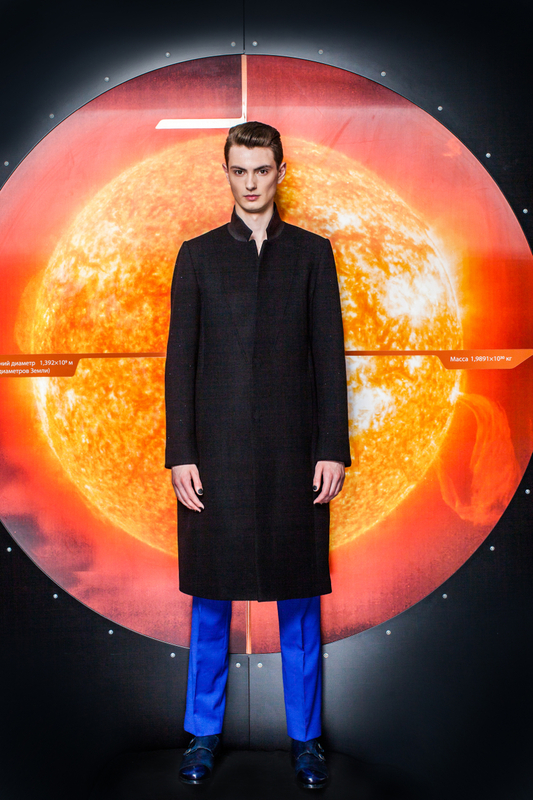 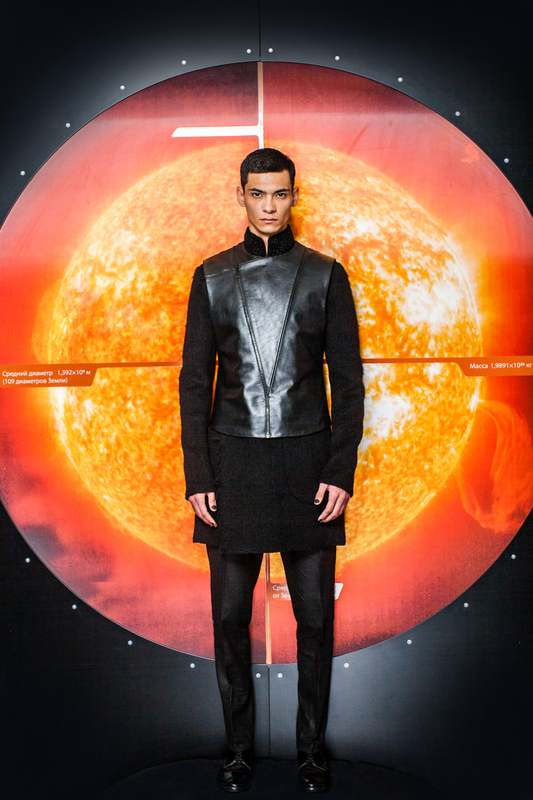 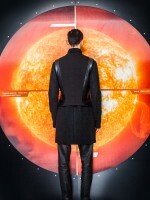 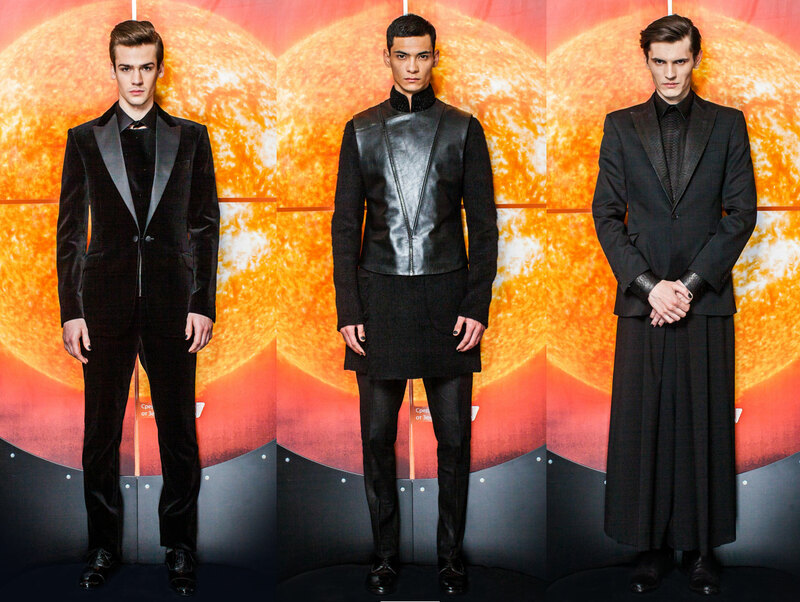 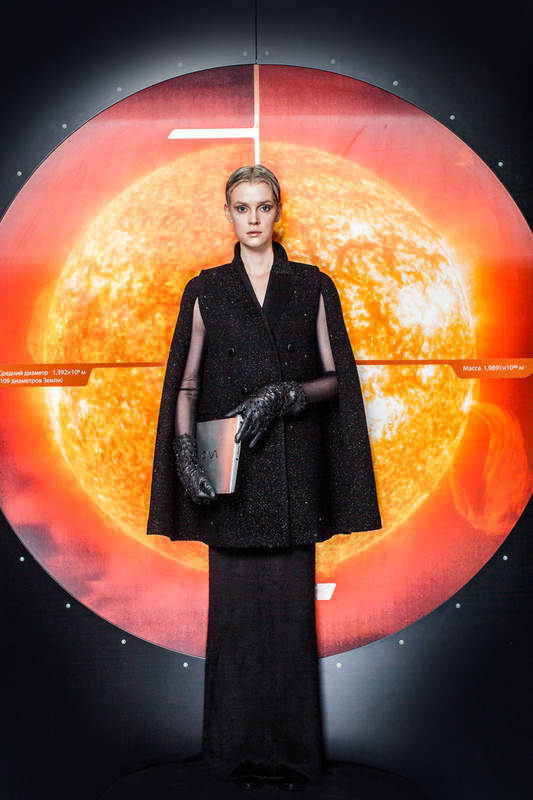 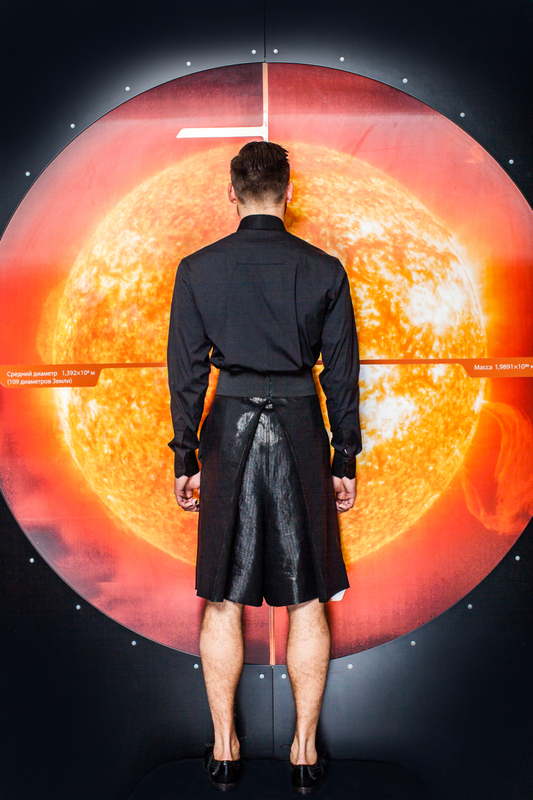 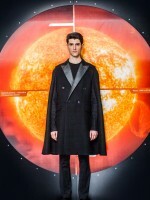 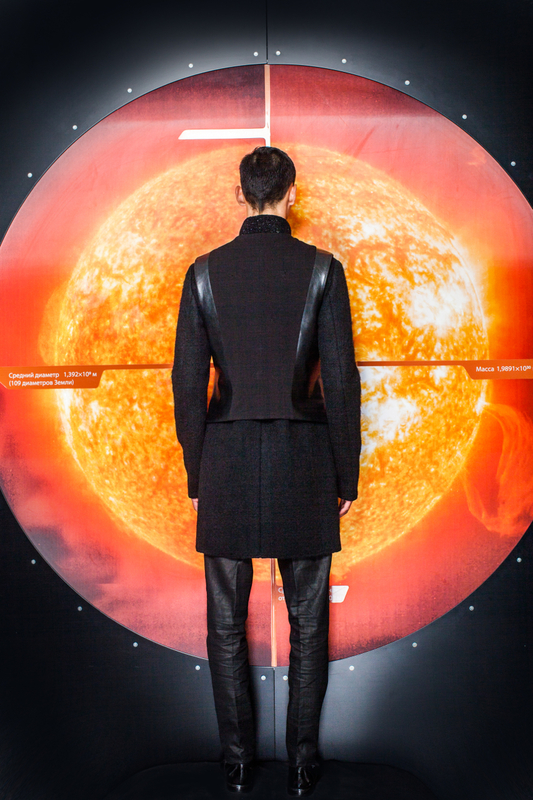 Think The Matrix, but also punk without the cyber: Arsenicum Fall 2013 would have made a perfect choice for this past Monday’s punk-themed Met Gala.